Manuel Terrizar, innkeeper in a small Mexican town, professes to be in sympathy with the revolution; his son, Miguel, joins the insurrectos. Teresa, Terrizar’s daughter, and Gen. Laredo, leader of the revolutionists, are sweethearts. The federal government sends an agent, Sancho, to Terrizar, offering a large reward if he will accomplish the secret assassination of Laredo. Terrizar’s greed for gold triumphs and he agrees to try the scheme. Terrizar invites Gen. Laredo to the inn that night for Teresa’s betrothal feast. Laredo, accompanied only by Miguel as a guard, arrives for the feast. Miguel is plied with wine to get him out of the way. Then the boy is carried upstairs and dumped into the room at the right of the landing. Miguel, aroused, later staggers into the hallway as if to go downstairs, then changes his mind and, entering the room at the left of the landing, falls across the bed in a stupor. The feast is over. 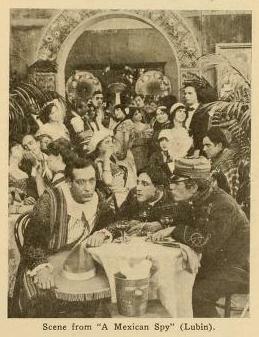 Terrizar persuades Laredo to spend the rest of the night at the inn and conducts him to and sees him enter the room at the left of the landing. In the left room Laredo finds Miguel, tries in vain to arouse him, then decides to find another bed. He goes into the hallway, finds the opposite door open and retires in the empty room at the right of the landing. 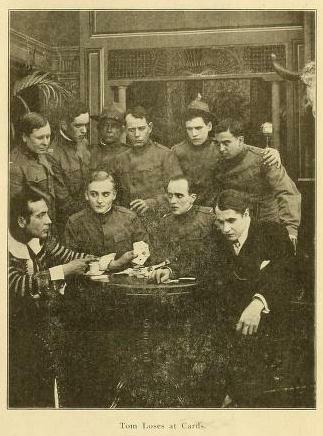 The plot to kill Laredo falls on Terrizar. He draws his knife, ascends the stairs, and blowing out the hall lamp, enters the room at the left of the landing. 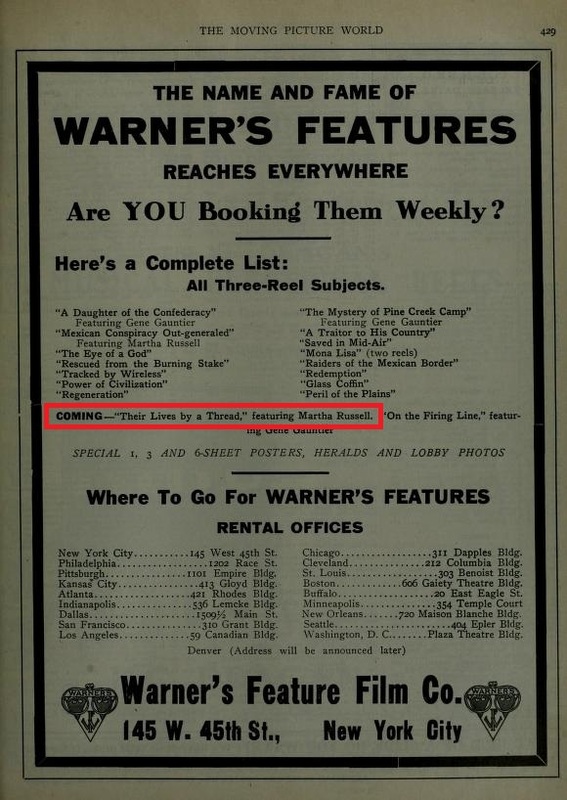 A moment later he returns to the drinking room, announcing that he has killed Laredo. In the morning, Laredo, ignorant of events, descends the stairs to the room where the conspirators are sleeping at the tables. The conspirators are terrified, believing that Laredo’s ghost is walking. When he speaks to them they realize there has been a slip. Wildly, Terrizar rushes upstairs and in to the left room, where he finds that he has killed his son. A Mexican Tragedy fue escogida para la inauguración del Lyric Theater de Lima, Ohio, en septiembre de 1913. Seguros del atractivo que significaba para el espectador, el anuncio de un periódico simplemente mencionaba que “trata sobre la actual revolución mexicana”. 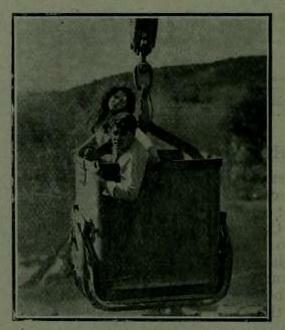 Ficha filmográfica de A Mexican Tragedy, (1913) Norteamericana. B&N: Un rollo. Director: Wilbert Melville. 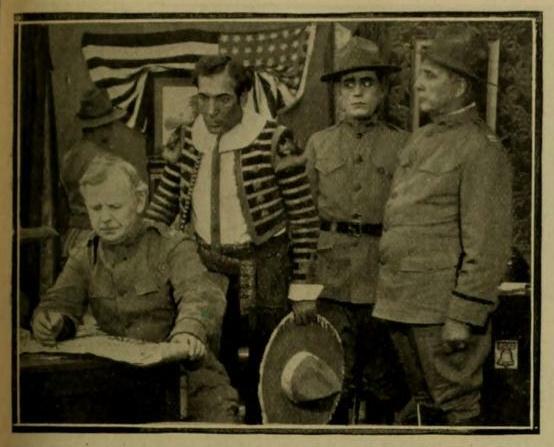 Actores: Henry King (General Laredo), Velma Whitman, Ray Gallagher, William Ryno, Guillermo Calles (Miguel). Producción: Lubin Manufacturing Company. 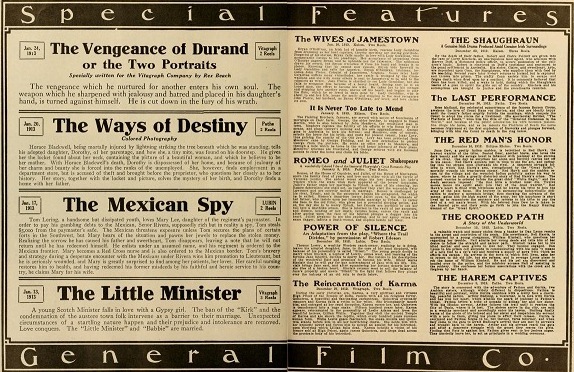 Distribución: The General Film Company, Incorporated. Estrenada el 23 de septiembre de 1913. Drama. La película se considerada desaparecida. Según A Guide to Silent Westerns de Larry Langman en la cinta actuó junto con Broncho Billy Anderson, Reina Valdéz. Manuel Terrízar, dueño de un hotel en un pueblecito mexicano, y simpatizante de la revolución, tiene dos hijos: Miguel, que se une a los insurrectos, y Teresa, novia del general revolucionario Laredo. Sancho, agente del gobierno federal, ofrece a Manuel una recompensa por matar a Laredo. Manuel acepta e invita a Laredo a una cena. En ésta, Miguel se emborracha y es llevado a una cama, pero cambia de cuarto al despertar por un momento; eso hace que el asesinado sea él y no Laredo, quien es tomado por un fantasma al aparecer vivo al día siguiente. Enloquecido, Manuel comprueba que ha hecho matar a su propio hijo. Emilio García RieraGuillermo Willy CallesHenry KingLubin Manufacturing CompanyMéxico visto por el cine extranjeroRogelio Agrasánchez Jr. THE BRAVERY OF DORA (Dec. 31).—Dora Miller and her father together with Juan, a young half breed, live peacefully at their ranch along the Rio Grande. Juan is in love with Dora and she is not averse to him. One morning while the little family is seated at breakfast, shots are heard outside. A party of U. S. soldiers has been attacked by Mexican troops and retreating as they fight, finally taking refuge in the Miller homestead. The doors and windows are barricaded and a sharp fight ensues. Juan, the half breed, at first to fire against the people whose blood runs in his veins, but at last infuriated by the sight of a wound received by Dora, he grabs the rifle and begins firing furiously. Ho is thus engaged as the Mexican troops break into the house and is captured by them and locked in an upstairs room. The commanding officer of the Mexican forces promises to shoot Juan the next miming. That night, however, Dora manages to get into the room where Juan is confined and smuggles to him a rope with which he escapes. The next morning, the Mexican officer sends for Juan to carry out his threat of shooting him and much to the surprise of the guard when the room is opened, out steps Dora. 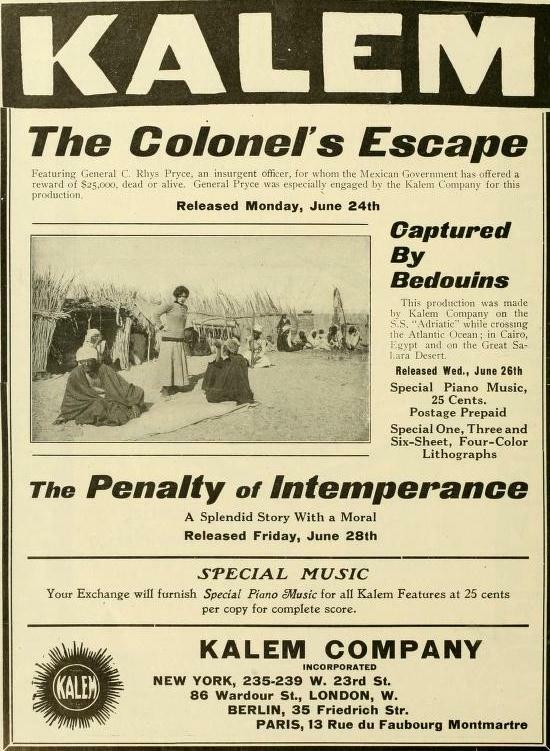 Furious at the escape of his victim, the Mexican promptly arrests Dora’s father and tells her that should her half breed lover not return by afternoon, the father will take his place in, front of a firing squad. In the meantime, Juan is hastening at breakneck speed on a horse taken from the Mexicans, to secure aid. Arriving at the camp of an American patrol, he gets the sergeant in charge to accompany him and with the entire troop cavalry rushes back to the Miller homestead, arriving just in time to prevent the execution of the old man by the Mexicans. An elderly father and his daughter Dora discover Juan falling down by the side of the road and bring him back home to recover. Described as a half breed in the inter-titles [for unknown reasons], we are given to understand that Juan is half Mexican. The film seems to be set during the later Mexican Revolution, specifically in American territory in the Mexican Border War, which was fought between independence fighters, federals, and the various U.S. armed forces. 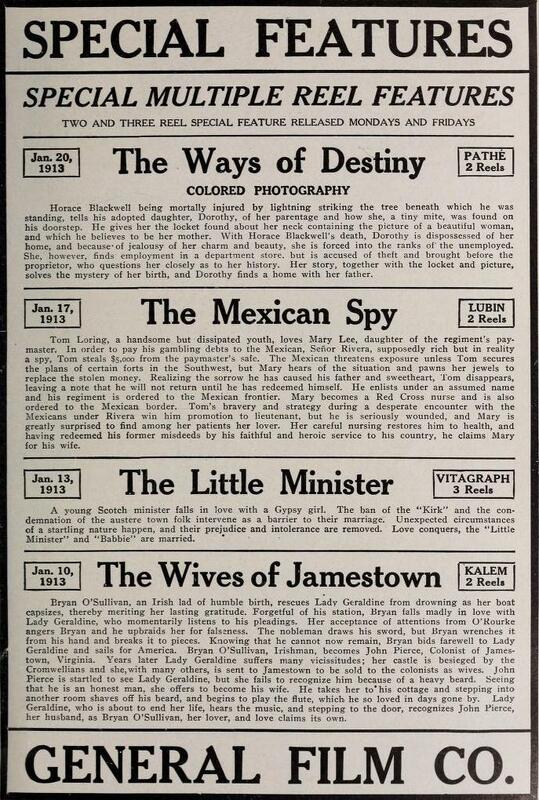 Soon a U.S. Army division finds refuge in Dora’s family home, and there is a shoot-out with Mexican forces, in which the Mexicans prevail. Juan refuses to shoot at the Mexican side, citing mixed loyalties. Soon he is captured by the Mexican soldiers who nonetheless brand him a traitor and sentence him to death on the morrow. Dora hatches a plot to rescue Juan, as they have become attached, and helps him to escape. Juan races off to the US forces, who race back to the scene, saving Dora and her father who has now become a replacement for the missing Juan in punishment to Dora. 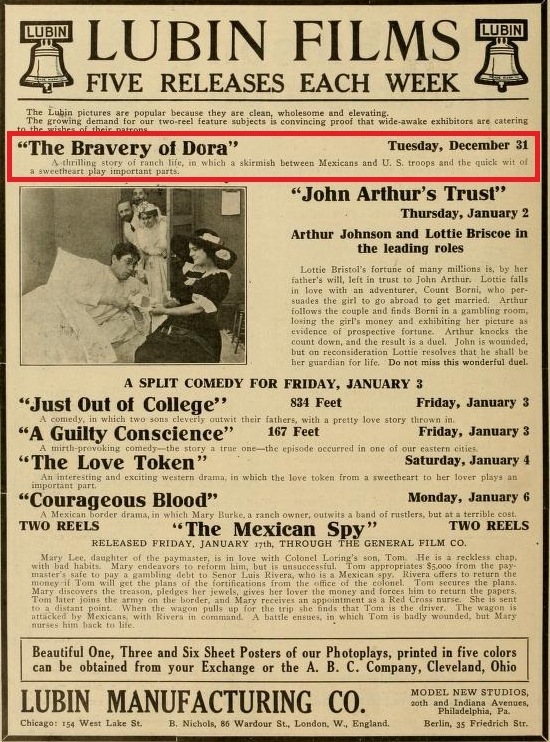 According to the added titles, at the end Juan saves the day and wins Dora for his own. 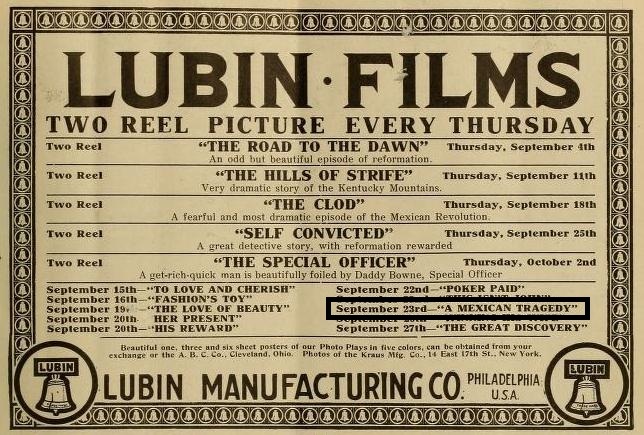 Lubin Manufacturing Company, 1912. Running time: 17 minutes. Produced by Siegmund Lubin. Featuring Earl Metcalfe, Edna Payne and E.J. Phillips. Library copy: DVD transfer of library VHS copy of Betzwood Archive 16mm film print, as restored by the Museum of Modern Art. 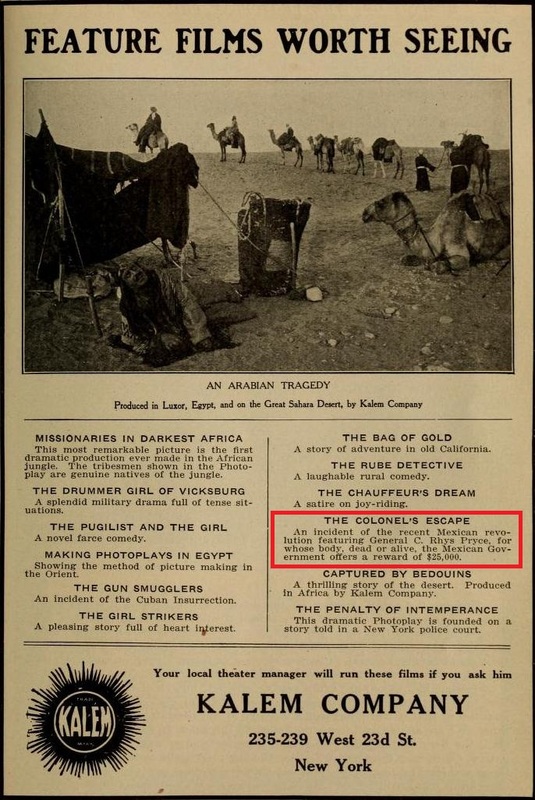 Please note that the final scene featuring the rescue is missing, as noted in the inter-title added by the Museum of Modern Art at the time of their restoration of this film. 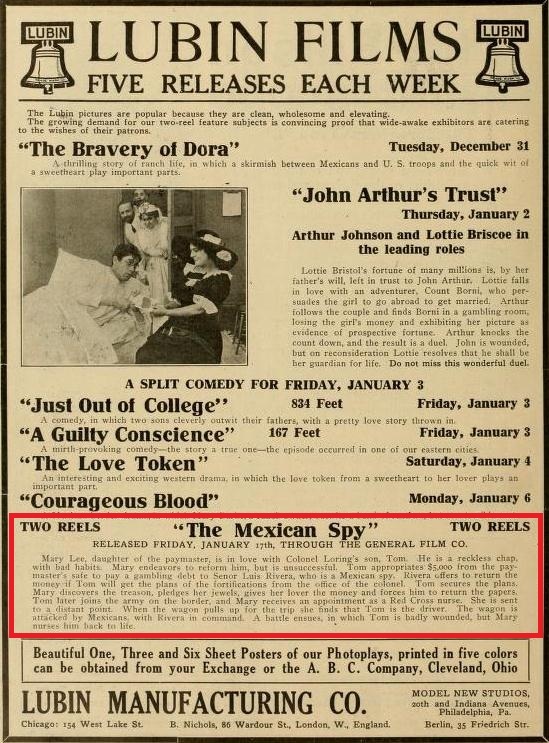 Una de las formas en las cuales el cine de ficción redimía a los mexicanos era cuando éstos se subordinaban a los estadounidenses, traicionando a sus paisanos. 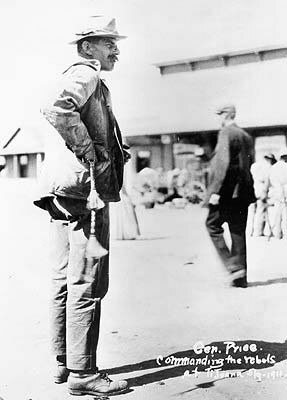 En El valor de Dora (1912), un personaje chicano se encuentra en un rancho norteamericano en medio de una batalla entre mexicanos y estadounidenses. Se niega a disparar contra los suyos, pero al ver cómo una bala hiere a Dora Miller, de quien está enamorado, dispara. Es al fin atrapado por los mexicanos y condenado a muerte por traición. Pronto lo salvan los militares norteamericanos. Los defectos mexicanos eran naturalmente resaltados por el contraste con las virtudes anglosajonas, y si alguna virtud mexicana mereció aprecio, fue sobre todo la propiciadora de una conducta favorable y amistosa con los norteamericanos; así, por ser buenos con los gringos, algunos mexicanos se salvaron de la denigración en A Mexican’s Gratitude (1909), The Thread ofDestiny (1910), The Mexican’s Faith (1910), Tony the Greaser (1911 y 1914), The Bravery of Dora (1912), The Greaser (1915) y The Good in Him (1915). 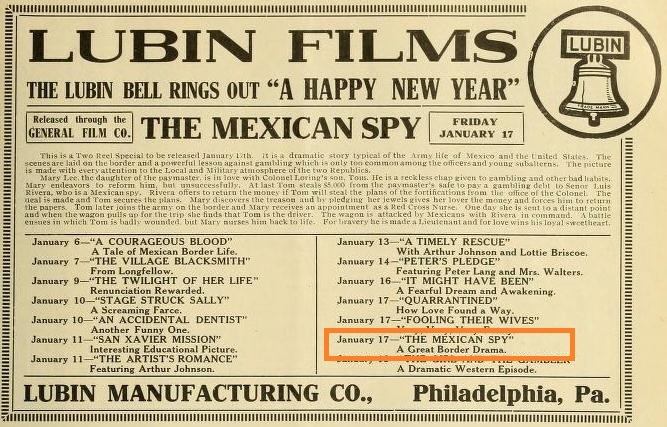 La película fue producida por la Lubin Manufacturing Company; sin que sepamos quién la dirigió. 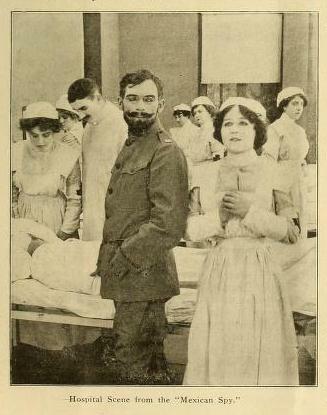 Los intérpretes fueron Earl Metcalfe (Juan, el mestizo), Edna Payne (Dora) y E. J. Phillips (padre de Dora).